"Stanford went great, and I followed that up with a great workout on Wednesday [April 3], the first time all year I've actually pulled a little bit away from Shalane! ... It was a 20-mile run with some fartlek in the middle. It was actually kind of nice; it was old-school Kara and Shalane. In the beginning, I was barely hanging in there, barely hanging in there, and then I actually was able to close out a workout for once. She had me on the ropes, like hating life at the beginning, and then I kind of gutted it out." 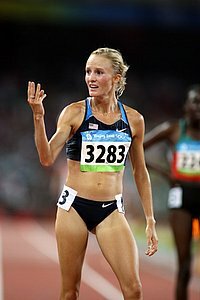 - Kara Goucher talking about working out with Shalane Flanagan in one of their last workouts before Boston. Goucher says after a rocky buildup, she feels like she's fit, but was careful to say she doesn't expect to beat Flanagan: "I'm certainly not saying I'm ready to challenge Shalane or take her on necessarily. But I just feel like things are coming together at the right time." Great Q&A With Kara Goucher, Who Says She Didn't Have A Perfect Buildup For Boston, But Is Ready "You know, my preparation for this marathon has not been perfect, and at times it's actually been like a nightmare. But what does that mean? 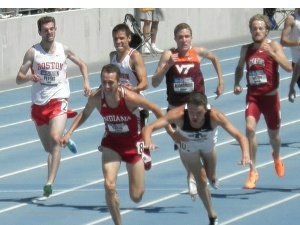 You just don't not run because things haven't been perfect. I mean, that's crazy." South African Sport Confederation And Olympic Committee May Disband Dysfunctional Athletics South African Board A representative said, "We are sick and tired of accusations and counter-accusations taking place at ASA. These shenanigans must come to an end with immediate effect." Scottish Marathoner Freya Ross Looking Forward To This Year's London Marathon After Her Big PR There Last Year Earned Her A Spot In The London Games She only got into the Games after Paula Radcliffe pulled out with injury, but ended up finishing as the top GB runner. 2:06 Man Henry Sugut Will Try To Defend His Vienna City Marathon Title On Sunday; Haile Gebrselassie Will Defend His Title In The Half Marathon He will face a field with 10 sub-2:10 runners, including Jafred Kipchumba (2:05:48). The women's field is highlighted by Ethiopia’s Kebebush Haile (2:24:09) and Houston Marathon runner-up Assefa Meskerem (2:25:17). Good Read: Ashton Eaton On Improving His Throws, Wedding Planning And His Close Call With A Javelin On accomplishing so much so early in his career, he said, "It would be fantastic to spend your whole life trying to pursue something and then finally, at the last moment, you achieve it. You know, instead of getting it in the middle of the pursuit and spending the second half giving it meaning." Could Farah Have Run 12:37 Last Year? 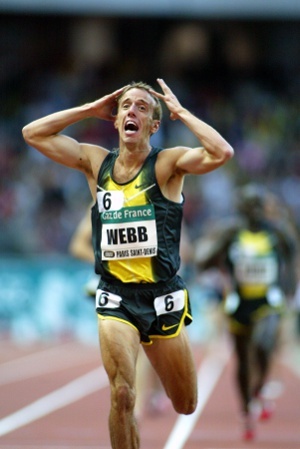 Alberto Salazar: "I would argue that Kenenisa Bekele is probably the greatest distance runner of all time. If had to pick somebody I would pick him." 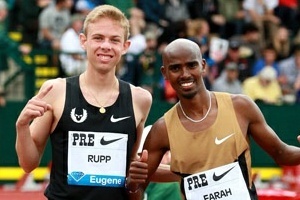 However, Salazar also said that he thought Mo Farah was "capable of challenging" Bekele's 12:37.35 5,000 WR. Octavious Freeman Named USATF Athlete Of The Week For Her 11.02 100m World Lead USATF also takes a look at the other US world leads set this past weekend, including a WR in the rarely run 4 x 100m Hurdles relay. Oregonian Profile On Trail/Ultra Runner Meghan Arbogast, Who At 51 Years Old Is Still Getting Better Arbogast won the women's race at the Way Too Cool 50k last month. Will We See Another Kenyan Comeback This Month? 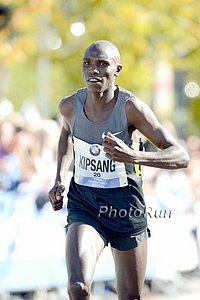 Kenya's 2:04 Man Duncan Kibet Running April 28th Duesseldorf Marathon Back in 2009, 34-year-old Kibet won the Rotterdam Marathon in 2:04:27, but due to injuries hasn't finished another marathon since. He'll face David Barmasai (2:07:18), and 3 other sub-2:08 guys. Ethiopia's Melkam Gizaw (2:26:52) leads women's field. The "Mini London Marathon" (2.6 Mile Race For Brits 13 To 17 Years Old) Has Become A Prestigious Event For British Teenagers Many future pros have run it and Mo Farah won it four times from 1997 to 2002. 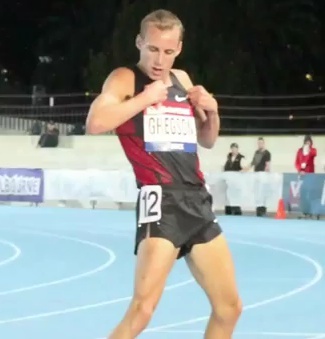 Starting Today: Australian National Championships/World Champs Trials Start Today And Go Through Sunday Jeff Riseley and Ryan Gregson will go head-to-head in the 1,500. Next Week: Kansas Relays Announces 7 Olympians For Downtown Shot And LJ Street Competitions On Wednesday And Thursday Next Week Athletes competing include Janay DeLoach, Reese Hoffa, Christian Cantwell and Ryan Whiting. May 10th: Allyson Felix Headlines Athletes Announced For Doha Diamond League Meet - She'll Race The 400 And Look To Add To Her 10 For 10 Victories In Doha There is a deep men's 800 with David Rudisha facing bronze medalist Timothy Kitum and Mohamed Aman. 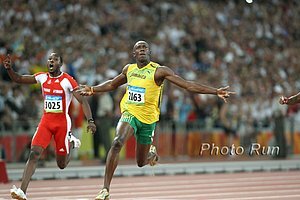 June 30th: Mo Farah In The 5,000 Highlights List Of 12 Olympians And 6 Olympic Champions Set To Compete At Birmingham On June 30th Others competing include Greg Rutherford, Kim Collins, Carmelita Jeter, 110m Hurdles bronze medallist Hansle Parchment, Mohammed Aman, Dai Greene and many other top Brits. LRC And Then There Were None: Abdi Abdirhaman Withdraws from 2013 Boston Marathon Boston is Monday, but none of the 2012 American Olympians have made it to the start line - and last year only one made the Olympic finish line.